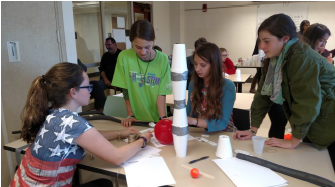 On November 4, 2017, 63 youth at-tended the CT 4-H Adventures in STEM Conference at the UConn Storrs Campus. Youth participated in a variety of STEM related workshops and also had the opportunity to have lunch in the Whitney Dining Hall. 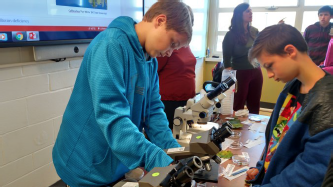 Thank you to the UConn faculty, staff and students who provided workshops that day giving youth the opportunity to be introduced to new STEM topics, learn new skills and meet college students. Sixty three percent of high school graduates are not prepared for college-level science and 57 percent are not prepared for college level math. Only 1 in 5 STEM college students feel their K-12 education prepared them for STEM college courses. 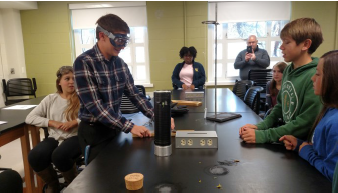 4-H Pro-grams provide youth with hands-on, engaging STEM experiences that build excitement around STEM topics and careers.